Looking to add a twist to your next Austin meeting or event? Why not hold it at a locally owned distillery, brewery or winery? At these unique venues you can surprise guests with everything from distillery tours to beer pairing dinners and wine tastings. Here are 10 spirited ideas to get your planning started. Courtesy of Desert Door Distillery. Desert Door Distillery in Driftwood is the country’s only sotol distillery, crafting a distinctive Texan spirit. Unique to Texas and northern Mexico, the rugged sotol plant thrives in the desert. 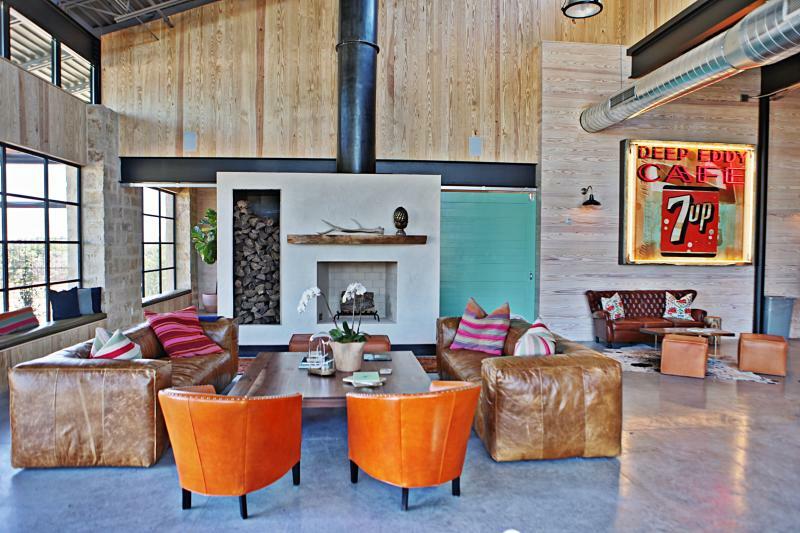 Hold an event in the modern Tasting Room, featuring a cozy fireplace, comfy couches and regional artwork. Arrange for guided sotol tastings (try the earthy Desert Door Original) or serve up craft cocktails. Enjoy the wide-open ranch views at Vista Brewing, located in Driftwood at the gateway to the Texas Hill Country Wineries trail. Plan an event at this beautiful, 21-acre combination brewery, restaurant and farm that offers multiple indoor and outdoor spaces for groups of any size. The on-site catering team crafts dishes made with ingredients direct from the farm, which can be paired with Vista beers like the elegant Le Saison Farmhouse Ale or the citrusy Destination American IPA. Deep Eddy Vodka Distillery. Credit Whit Preston. 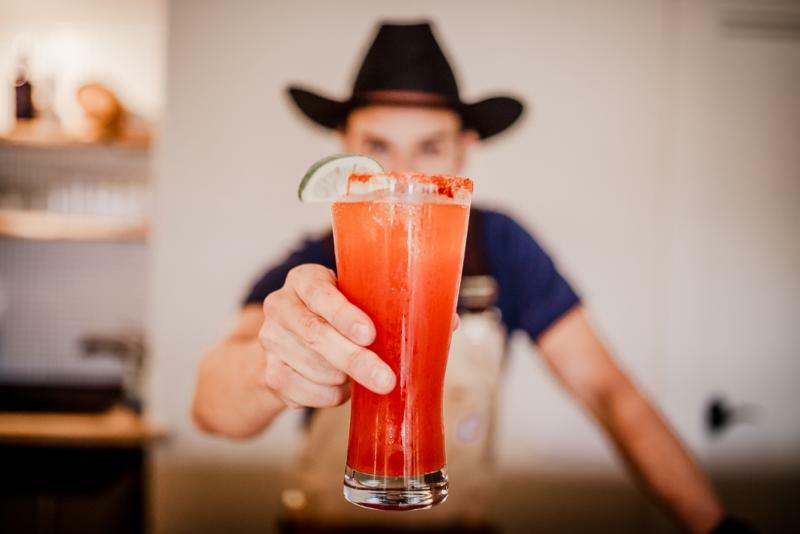 Deep Eddy Vodka is a Dripping Springs favorite, with a fun retro-feel Tasting Room that’s available for private events seven days a week. Arrange for a group tour and sample vodka varieties flavored with fruit that includes cranberry, peach and orange. Or sample specialty cocktails on the outdoor patio with a panoramic view of the surrounding Texas Hill Country. Located in Driftwood, Salt Lick Cellars is nestled under majestic live oak trees next door to The Salt Lick BBQ restaurant. The Tasting Room features a lovely shaded wraparound patio that can accommodate an event for up to 75 people, Monday through Friday. Treat your guests to Salt Lick Cellars wines, including the fruity Mourvédre or the Tempranillo, blended with a hint of coffee and mocha. The Infinite Monkey Theorem. Credit Courtney Pierce. 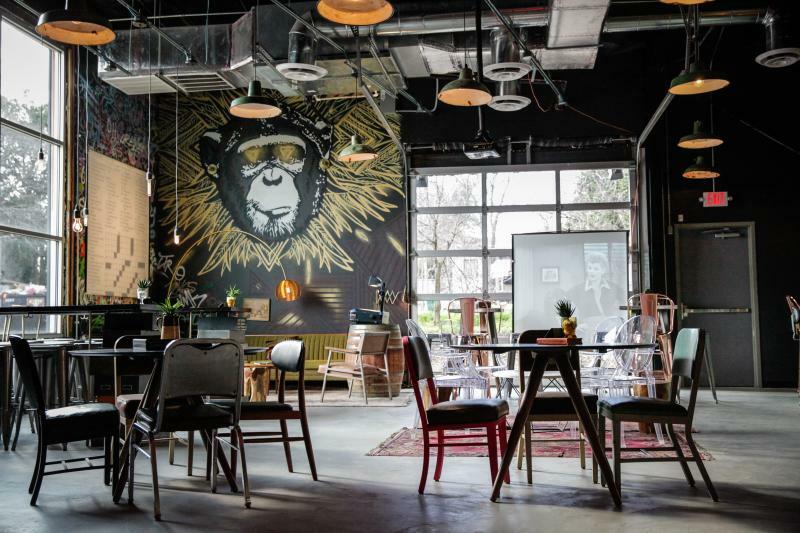 Venture down a back alley in Austin’s trendy South Congress neighborhood to find The Infinite Monkey Theorem, a decidedly urban winery. Host an off-site meeting during the day or book the entire tap room for an event. Schedule a private winery tour and taste selections of bottled, kegged and canned wines made from grapes grown in the High Plains of Texas, such as The Blind Watchmaker Red or Dry Hopped Sauvignon Blanc. Live Oak Brewing Company is located along the picturesque Colorado River among groves of live oaks in Del Valle, just minutes from downtown Austin. Live Oak uses Old World brewing methods to produce its lagers and ales, such as the Live Oak HefeWeizen (a classic Bavarian wheat beer). Plan an event in the shady outdoor Biergarten or the indoor Taproom. The Austin Winery. Credit Amadeo Garcia. The Austin Winery handcrafts small-batch wines made with grapes sourced from a carefully selected group of organic vineyards. 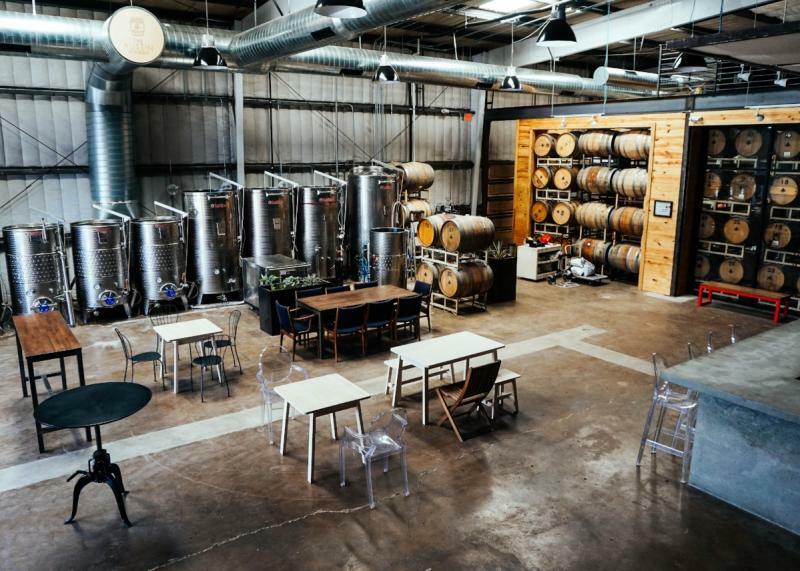 The full-production winery, located at The Yard in Austin, is outfitted with a barrel room and lounge that can accommodate events of all sizes. Arrange for tasting flights with selections like the tropical-tinged white Euphoria and the full-bodied Quarter Horse red. The Brewtorium is a locally owned brewpub featuring award-winning handcrafted beer and modern pub grub designed to complement the house brews. Plan a casual meeting or beer pairing dinner in the relaxing beer garden. Try a Constant Beer that’s always on tap, such as the Electric Lederhosen Vienna lager. Or opt for a seasonal Variable Beer like the sour Poolside Peach. Still Austin Whiskey Distillery. Credit Richard Casteel. 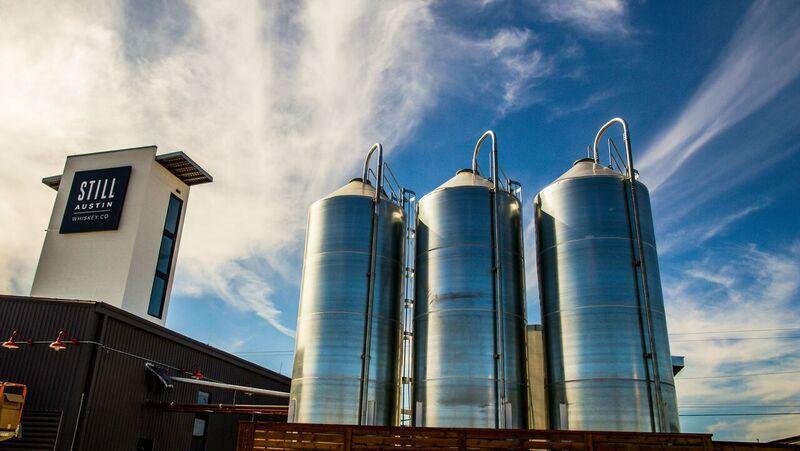 If you’ve got a group of whiskey lovers, you’ll want to check out Still Austin Whiskey Co. (also located at The Yard), the first whiskey distillery located within Austin city limits since Prohibition. A true grain-to-glass distillery, everything is done in-house (and made from ingredients sourced from local farmers), from mashing to barreling and bottling. Plan a private tour for your guests to see how Still Austin’s whiskey is made, followed by a cocktail party in the Whiskey Garden or Tasting Room. Texas Reds and Whites Tasting Room prides itself on its carefully curated collection of more than 100 Lone Star State wines. Its convenient location across from the Austin Convention Center makes it easy for attendees to shift gears from work to party mode. Set up a sampling of local Austin wines that could include Duchman Family Winery’s sweet Canto Felice white wine and William Chris Vineyards’ red Skeleton Key. Click here to explore more unique Austin special event venues.